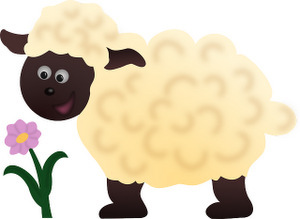 Usage notes: To understand how sheep came to symbolize the current topic of discussion, you have to consider a piece of literature from the 15th century, La Farce de Maître Pathelin. The eponymous protagonist of this medieval play brings two cases before a judge, one about sheep and the other about sheets (the similarity of the two words in English is entirely coincidental). While arguing the sheep case, Maître Pathelin regularly brings up sheets in order to confuse the judge, who tries to get back to the first case each time by saying mais revenons à nos moutons. And thus, moutons came to symbolize the subject at hand. Oui, c’est très intéressant, mais ce n’est pas le but de cette réunion. Revenons à nos moutons. Yes, that’s very interesting, but it’s not the purpose of this meeting. Let’s get back to the subject at hand. 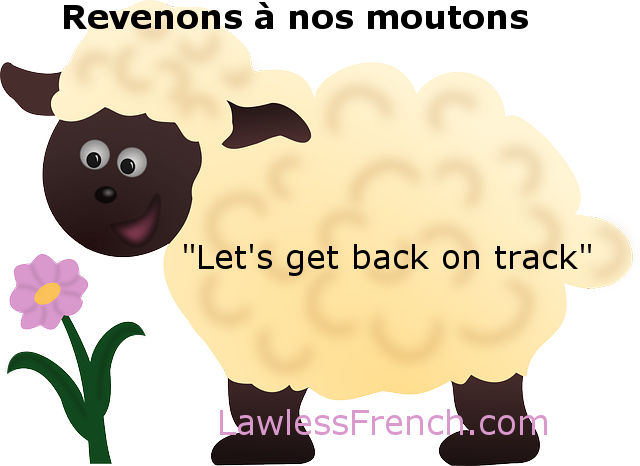 Tu as encore changé de sujet – revenons à nos moutons. You’ve changed the subject again – let’s get back on track.